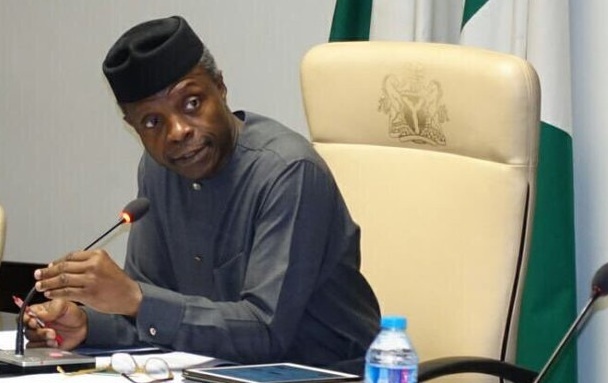 The Vice President, Professor Yemi Osinbajo has restated the commitment of the Federal Government in completing the second Nigeria Bridge in the South East. He made this known during the flag-off of the governorship campaign of the All Progressives Congress in Onitsha area of Anambra State, adding that funds have been made available for the project from the Sovereign Wealth Fund (SWF). Speaking at the rally, the Vice President had said the amount released for the project was $2billion, which is the total value of the SWF as of September 2017. “We are not making promises for nothing. The second Niger Bridge, we have been talking about it for a long time. But for the first time, President Muhammadu Buhari went by himself to negotiate the facility to do that second Niger Bridge,” the Vice President said. However, some four hours later, the spokesperson to the Vice President, Mr Laolu Akande, issued a statement, in which put the amount released at N2bn. After his comments about the Second Niger Bridge, the VP had gone on to claim that the previous administrations abandoned the Lagos-Calabar railway project, stressing that it has been revived under the APC-led Federal Government. “When we were talking of railway, Lagos-Calabar railway, under the old administration, I will not mention them by name. “They said Lagos-Calabar will go from Lagos to Calabar, there was no connection to the South-East. It was when President Muhammadu Buhari came that we redesigned the Lagos-Calabar in order to pass through Onitsha in the first place. Speaking further, Mr Osinbajo also stresses that Anambra was the first state to benefit from the school feeding initiative that has employed over a thousand cooks and fed over a hundred thousand. He added, “This state was the first state to receive our home-grown school feeding. This Anambra was the very first state that we gave money for that programme. And we have already in 807 schools, here in Anambra state where these young children (primary schools) are already fed.